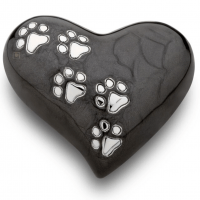 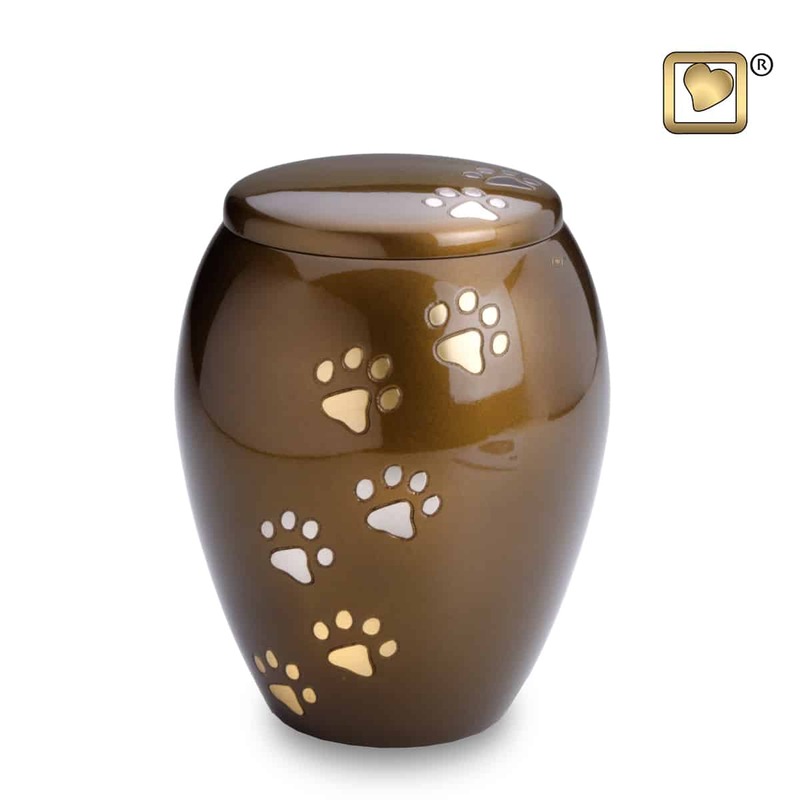 With its size and beauty, this Two Tone Paw Prints Tall Paws Urn is a tranquil yet stunning memorial to your loved one. 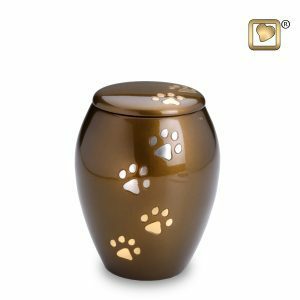 Two Tone Paw Prints Tall Paws Urn complements silver or gold tones used throughout your home decor. The warm bronze brown color represents your pets color. Two Tone Paw Prints Tall Paws Urn complements silver or gold tones used throughout your home decor. 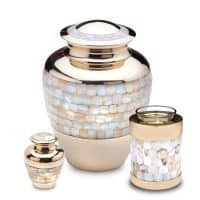 Letting you use silver or gold tones at anytime throughout your home. 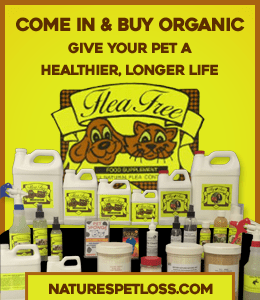 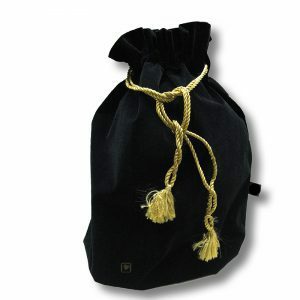 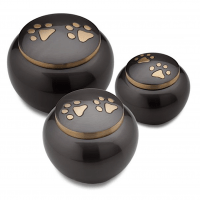 The warm bronze brown color represents your family pet member coat color. Two Tone Paw Prints Tall Paws Urn on a Bronze/ Brown tone surface protected with gloss coat. 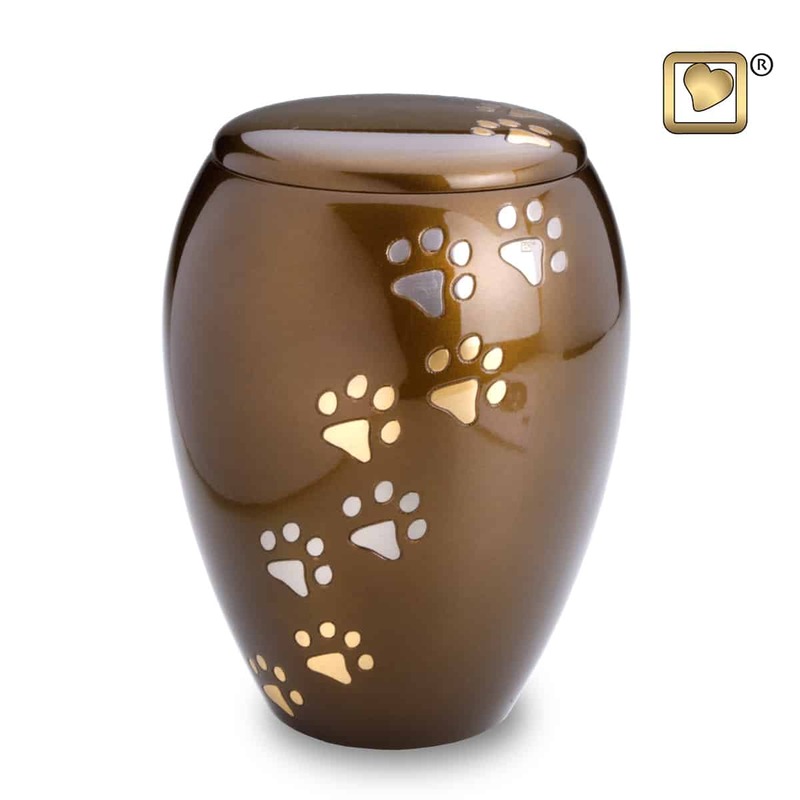 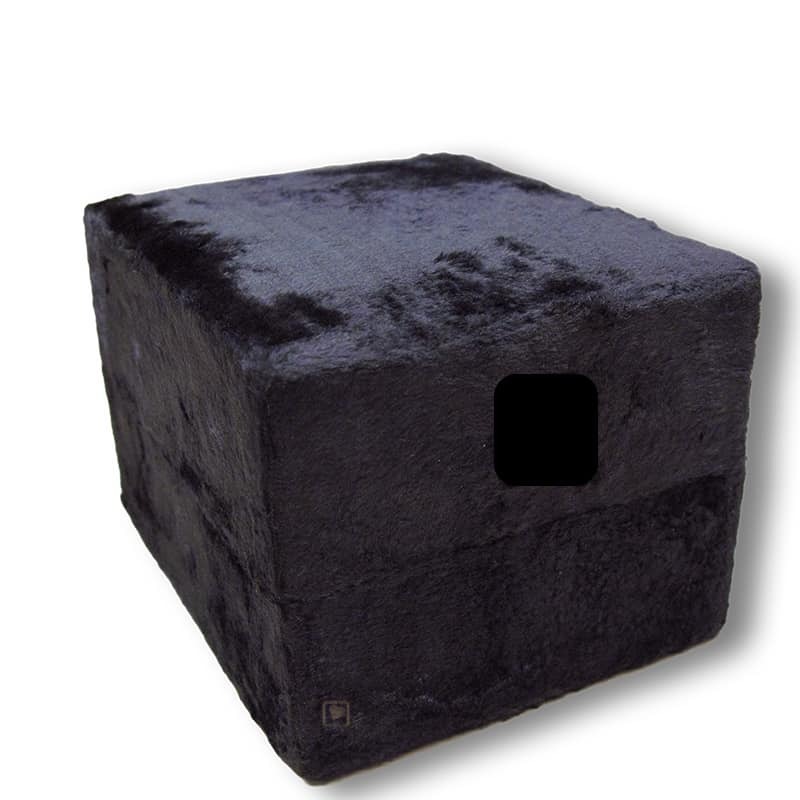 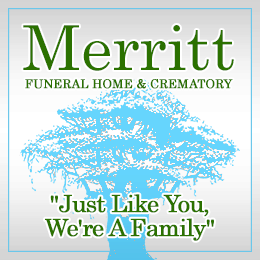 With its size and beauty, this urn is a tranquil yet stunning memorial to your loved one. 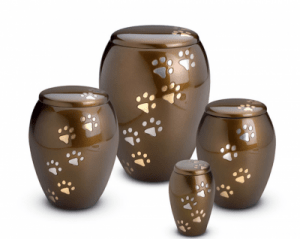 The Two Tone Paw Prints Tall Paws Urn Large is a large sized pet cremation urn for ashes with a unique modern shape with a deep bronze finish accented with alternating silver and gold paws, protected in a Gloss coat finish. 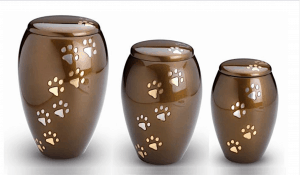 The Two Tone Paw Prints Tall Paws Urn, Medium sized pet cremation urn for ashes with a unique modern shape with a deep bronze finish accented with alternating silver and gold paws. The Two Tone Paw Prints Tall Paws Urn, Small is a small sized pet cremation urn for ashes with a unique modern shape with a deep bronze finish accented with alternating silver and gold paws. for ashes with a unique modern shape with a deep bronze finish accented with alternating silver and gold paws.